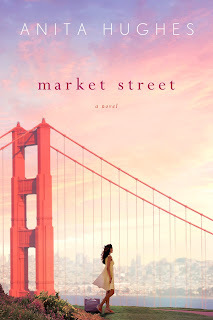 Anita Hughes returns to Chick Lit Central today to feature her latest novel, Market Street (reviewed here), which came out yesterday!. Her debut novel is Monarch Beach. She received a B.A. in English Literature with a minor in Creative Writing from Bard College, and attended UC Berkeley's Masters in Creative Writing program. Presently, she lives in Dana Point, CA with her family, where she interrupts her writing to watch the glorious sunsets. Since Market Street is all about food, we thought Anita would be a perfect addition to foodie month. And for a tasty treat of your own, St. Martin's Press is giving away FIVE copies to some lucky readers in the US and/or Canada. 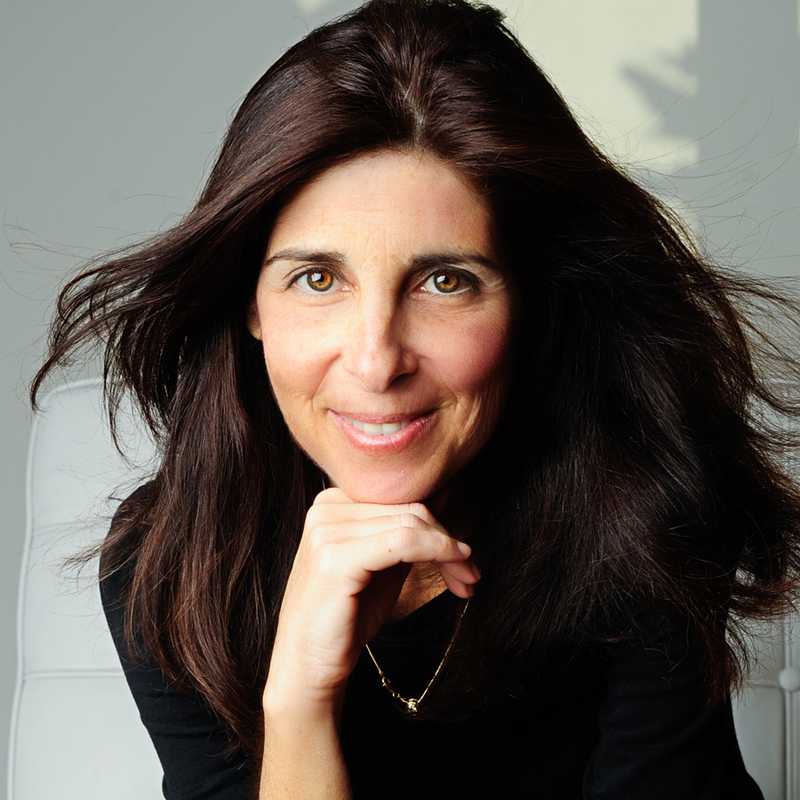 You can find Anita at her website, Facebook and Twitter. 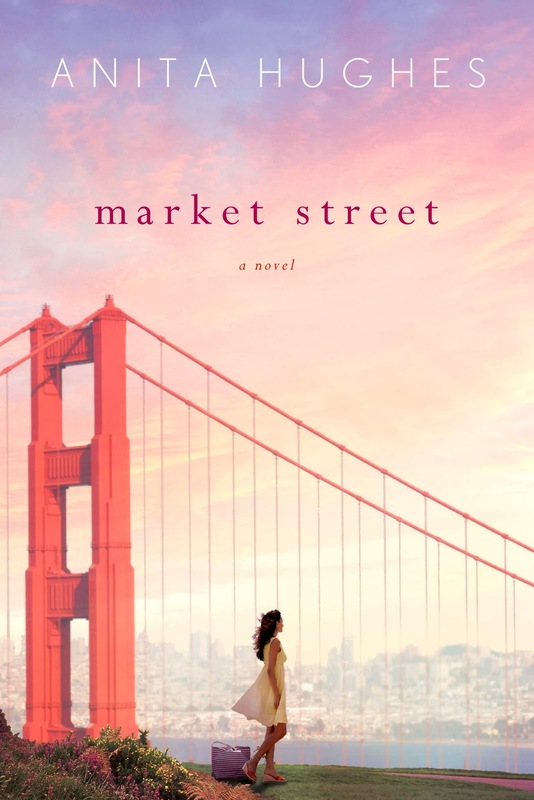 I am a great lover of fruits and vegetables - my new novel, Market Street, is about opening a food emporium in Fenton's, an exclusive San Francisco department store. It's full of descriptions of delicious local grown produce. It's not surprising then, that one of my favorite recipes involves fresh cheese and tasty vegetables. Slice the tomato on an oven-proof plate. Cover the tomato with a layer of peas. Place slices of mozzarella cheese over the peas. Sprinkle salt and pepper and bake in the oven at 350 degrees for ten minutes or until the cheese starts bubbling. Remove and serve (preferably with a loaf of crusty sourdough bread!). This recipe is special to me because it is my mother's recipe. I grew up in Australia and when I was six years old my mother went on a health kick - that lasted the rest of my childhood! We weren't allowed to eat sugar or sweets or meat or anything that wasn't sold at the local market. You can imagine what that was like for a child - seeing all my friends eat Good Humor Ice Cream Bars, sausage rolls and meat pies, all the normal things children ate. Surprisingly, my mother's choice of eating brought us closer as a family. She made sure we had the most exotic fruits - mangos, melons, grapes, peaches, the most delicious nuts - Brazil nuts, Macadamia nuts, Walnuts, Almonds. And she tried dozens of recipes to find dishes that enticed us. Whenever I make Melted Mozzarella and Peas, I think about my mother. And I always laugh when I see my children do exactly what I did: stand in front of the oven and watch the mozzarella cheese turn golden brown and bubble. Eating is about family and a great recipe is one that makes your children smile! Thanks to Anita for sharing her delicious sounding recipe with us and to St. Martin's Press for sharing Market Street with our readers. 1. Please tell us: What is a food you didn't want to try for a long time, but once you did, you liked it? US/Canada only. Giveaway ends April 2nd at midnight EST. Email found clicking on Blogger icon. 1. I never ate tomatoes as a kid, but now like them as an adult. 2. Am a blog follower. 3. Posted contest on Twitter. 4. Am a FB member of CLC. That recipe sounds yum. I can't wait to make it. 1. I would never eat broccoli but after I did, I really liked it. Book sounds very intriguing. Thanks for the giveaway. 1. This is a hard question because I'm not very adventurous with food. I don't try new things very often. I'm a very picky eater. I really can't think of anything! I'm so stubborn and I won't eat anything if it doesn't sound good to me. -I didn't not want to try sushi. But now there are so many kinds that I crave and LOVE! Every since then I have become way more adventureous! When I was a kid, I didn't want to eat squid. But boy, when I did try a squid dish my mother cooked, I was in love. Now, I try many dishes with squid. Believe it or not...pizza!!! I never ate pizza. Whenever I went to a birthday party as a child, my Mom sent me with a sandwich. I had no interest in pizza. Several years later, I tried pizza and loved it. Now, I live near an organic bakery that makes the best pizza in the world. Growing up we never ate avocados.I follow on email lomazowr@gmail.com &on Twitter @rhondareads will tweet. I didn't eat cooked tomatoes until I was 18...no sauce on pasta at all. I now eat all sorts of pasta sauces. I didn't care for peppers but now eat them a lot. I wasn't sure I'd like cashews but after trying them discovered how good they really are! Brussel Sprouts...my mom would boil the heck out of them which made them smell bad which made me gag so I couldn't eat them. Now I love them (steamed or roasted). I grew up in Australia so when I first moved to the US I didn't like any Mexican Food. I would never eat cranberries as a child, but I love cranberries now. I didn't like tomato soup as a child, but now enjoy it. 1 Squash. I know. How lame...!! I finally had brussel sprouts last year and I love them. two food items: brussel sprouts: cannot get enough of them and... the biggest revelation: OATMEAL! I am 52 and my parents ate oatmeal every day of their lives (and still do, so it is always being served when we visited). My 15 year old decided she wanted it and, as I made it I held my nose. But... then I tasted it and now I cannot get it out of my mind. HEalthy too: keeps you full for HOURS (which I thought was only hype). I follow the blog and am a FB member. Cheese Ravioli! I tried it a year ago and can't get enough of it with marina sauce! As a picky eater, this is a tough one. But a few months ago, I tried hummus for the first time. Now I can't get enough! The best is Trader Joe's edamame hummus. Delicious! It took me the longest time to try a ceasar salad, and now I love them! Thank you for the giveaway. Pecan Pie is a food I now love but resisted for years. I follow your blog, posted on Twitter and follow on Twitter (@readsalways). jtretin at aol dot com. 3. Posted contest to FB. This looks like a great book and the recipe sounds good, too! for the longest time, I didn't want to try Brussels Sprouts. You always hear the horror stories of how awful they are, and you see the shows where the kids are stuck at the table because they wouldn't eat them. My husband and I found a new way to cook them....cut them in half, drizzle with olive oil, salt and pepper, and oregano. Roast in the oven at 350 until they are fork tender (I like them with a crunch). They are delicious!!!! Brussels Sprouts are now a regular side dish for us! I'm a blog, twitter, facebook, pinterest follower! Pad thai. Not sure why I never tried it, but when I did there was no turning back! (1) Caesar salad. I tried it because a gentleman friend ordered it whenever we dined together. Now I love it! (2) Following the blog via e-mail. (3) Shared contest on FB. (4) Am a member of CLC on FB. (5) Following on Twitter and Pinterest. Shrimp. Grilled with lemon and other spices is delicious! I'm a very picky eater, so i don't try new foods very often. The husband had been at me to try jalapeno poppers forever and when I finally tried them, I loved them. Now I eat them way too much lol. 1. Brussel sprouts. I wouldn't try them for years! Follower on Twitter, GFC and FB! I can't think of a food I didn't want to try and then liked. I can think of many that I didn't like! Eggplant is at the top of the list followed by beets and okra. (I'm a very picky eater, if you couldn't guess). Avocado! Now I learned to enjoy it with a little salt and it's delicious! Am a FB member of ChicklitCentral. Couldn't eat tomatoes for yrs but love them now. I love grapes, but not raisins. Now I'm all about the raisins in trail mix.